Our Ph.D. students in public policy engage closely with our LBJ School faculty members as well as research centers within LBJ and the university at large. Bio: Noorah's current research interest focuses on impacts of socio-political heterogeneity on policy adoption and systems transitions in relation to the energy sector. Prior to joining the LBJ School of Public Affairs as a doctoral student, she worked as a researcher for the Industrial Bank of Kuwait, the Gulf Center for Development Policies and Kuwait Petroleum Corporation. Bio: Francisca Bogolasky is a Ph.D. candidate and Population Research Center (PRC) Graduate Student Trainee. Her research interests include urban and education policy and the links between these policy areas. Specifically, she is interested in residential mobility, housing policy and segregation. Before attending the LBJ School, she worked as a researcher in the Center for Public Policy at Universidad Catolica de Chile. She holds an MPA from Columbia University and a B.A. in sociology from Universidad Catolica de Chile. Her research is supported by Conicyt (through the Becas Chile Program) and by the Centre for Social Conflict and Cohesion Studies (COES), Chile. 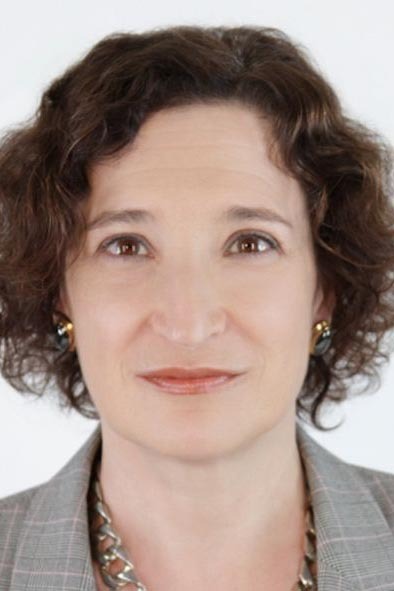 Bio: Diana Bolsinger’s current research examines policymakers’ use of intelligence in shaping policy toward the Muslim world, particularly Pakistan and Afghanistan. Before coming to the LBJ School, she served in a variety of diplomatic, analytic and supervisory positions in the U.S. federal government, including postings with the U.S. embassies in Islamabad, Pakistan; Sarajevo, Bosnia and Herzegovina; and Seoul, Korea. Bio: Regina is a nonresident scholar at the Center for Energy Studies (CES) at Rice University’s Baker Institute for Public Policy. Prior to entering the Ph.D. program, she served as the Baker Botts Fellow in Energy and Environmental Regulatory Affairs at CES and practiced legislative and environmental law in Austin. Regina is an adviser to NAIAD, a project funded by the EU to operationalize the insurance value of ecosystems for water-related risk mitigation by developing and testing concepts, tools, and applications on demonstration sites across Europe. She also consults on water governance issues with International H2O Solutions, LLC. 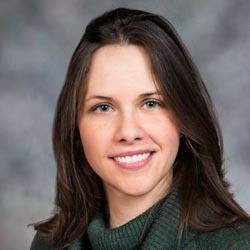 Bio: Selena Caldera’s research examines the familial, economic and health factors influencing aging adults’ decisions about long-term arrangements and the policy levers that can be used to improve the economic health, and well-being outcomes for older adults needing care and their caregivers. She is also a graduate student trainee with the Population Research Center at UT Austin and approaches her research from a demographic and population health perspective. Most recently, she was the senior strategy analyst for Central Health, the health care district for Travis County, Texas. Her previous experience includes over 10 years of research experience in various public policy areas, including health care, education, immigration and retirement income policy. Her past work includes research positions at the office of the Texas Comptroller of Public Accounts, AARP’s Public Policy Institute, the Department of Homeland Security, Congressional Budget Office and the U.S. Census Bureau. Selena holds a MPP from the McCourt School of Public Policy at Georgetown University and a B.A. in Government from the University of Texas at Austin. 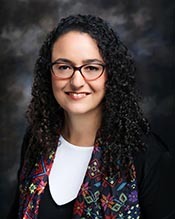 Bio: Ana Canedo is a doctoral student at the LBJ School of Public Affairs and a Population Research Center (PRC) Graduate Student Trainee at UT Austin. Her main research interests lie in the fields of labor economics, human capital development, immigration and social policy. Before attending the LBJ School, she worked as research coordinator for the Human Capital Division of the Center of Research for Development AC (CIDAC), an independent, not-for-profit think tank devoted to policy-relevant research for the economic and social development of Mexico. Ana Canedo holds an M.P.A. from Cornell University, a B.A. in Economics and a B.A. in Political Science from ITAM, Mexico. 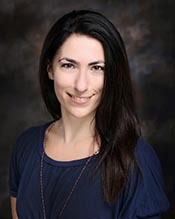 Bio: Christina Nefeli Caramanis is a doctoral candidate at the LBJ School of Public Affairs and a Graduate Research Trainee at the Population Research Center (PRC) at UT Austin. She holds a B.A. in sociology and philosophy from Boston University and an M.A. in developmental psychology from Teachers College, Columbia University. With an overarching focus in social policy, Christina's research examines the dynamic interplay between poverty—both at the community and family levels—and the social, emotional, behavioral, cognitive and academic development of children and youth over the life course. In an effort to inform policy in various community and family settings, she is broadly interested in: (1) looking at the pathways through which antipoverty programs and policies interact with system-wide patterns of behavior and overall child and family wellbeing, and (2) using higher level statistical modeling and analysis to quantitatively address individual- and system-level change in key family- and child-level processes. Bio: Bryan Frizzelle's research interests include international history, strategy and statecraft. He is particularly interested in the efficacy of North Atlantic Treaty Organization (NATO) adaption to exogenous and endogenous crises. 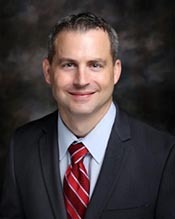 Bryan is an active-duty United States Army Lieutenant Colonel with 16 years of service. He has served abroad in both command and staff positions throughout the Middle East and Europe and is slated to command a Stryker infantry battalion. 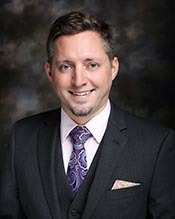 Bryan holds degrees from the United States Military Academy at West Point (B.S., History) and an M.P.M from Georgetown University. 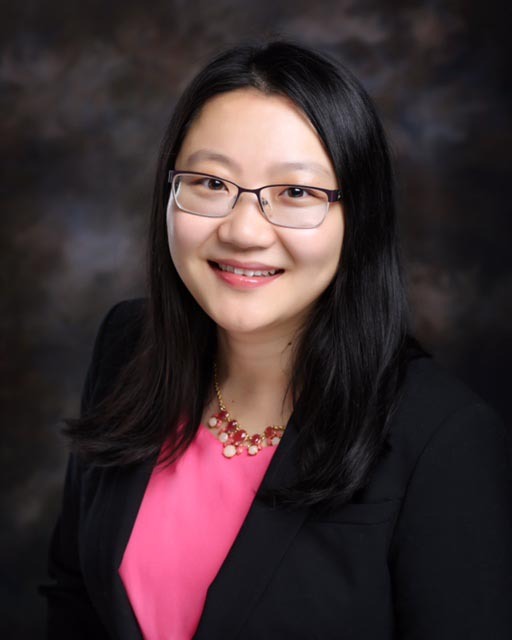 Bio: Xue Gao is a Ph.D. candidate whose research interests are focused on technological learning and innovation, knowledge management, geography of innovation, innovation policy, environmental and energy governance, and multilevel governance. She devotes special attention to interdisciplinary study that involves public policy, economics, political science and statistics. Xue Gao holds an M.S. in statistics from The University of Texas at Austin, an M.A. in Public Administration from Tsinghua University, China, and a bachelor's degree in economics from Southeast University, China. Bio: Prior to pursuing her Ph.D. in 2017, Maria Elena was appointed by the U.S. and Mexican governments in 2010 as the general nanager for the Border Environment Cooperation Commission (BECC). Much of her work at BECC focused on modernizing the institution by expanding its programs and updating its organizational tools in accordance with the dynamic needs of the U.S.-Mexico border region residents for municipal infrastructure while balancing the interests of two U.S. and Mexican federal administrations. Prior to her appointment, Maria Elena served in various senior positions within the BECC, and worked in the municipal utility industry and in private consulting for water and wastewater infrastructure for all 10 U.S. and Mexican border states. She is a registered professional engineer in the state of Texas. Bio: Prior to his Ph.D., Mark lectured on entrepreneurship at the University of Oxford and on social entrepreneurship at the University of Texas. He has been an impact investor — making, managing and supporting investments in over 40 ventures through his work with Gray Ghost Ventures, Oxford Seed Fund, Skoll Centre for Social Entrepreneurship and UnLtd USA (now Techstars Impact). He also worked for four years in community development, including founding Manna Project International's site in Ecuador. He is also the co-founder of Assemble, a workshop and facilitation consultancy. Bio: Eun Young Kim is from Seoul, South Korea. Her research interests encompass topics of national statistics and open data for policymaking in the international development context, evaluation of foreign aid effectiveness, transnational policy transfer, and economic growth. Before coming to the LBJ School, she worked as a researcher at the Center for International Development Evaluation at Seoul National University, where she participated in various projects for evaluation framework design and helped organize workshops for program evaluation capacity-building. 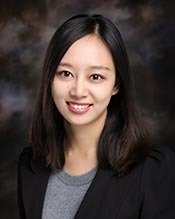 Eun Young holds a Master in Public Policy as well as bachelor’s degrees in economics and in political science (international relations) from Seoul National University. Bio: Abby Lane is a Ph.D. candidate whose dissertation research focuses on child care issues and maternal well-being of low-income mothers with nonstandard work schedules. She is the recipient of a Child Care Research Scholars dissertation grant (2017-19) from the U.S. Department of Health and Human Services, Administration for Children and Families, Office of Planning, Research and Evaluation. Abby's broader research interests include social welfare policy, family policy, poverty reduction and family well-being. Immediately prior to entering the Ph.D. program, Abby worked as a policy fellow covering family economic security, education and employment issues at the National Women's Law Center in Washington, D.C. She holds an MPP from The George Washington University and a B.A. in political science from St. Olaf College. She also works as a graduate research assistant at the Child & Family Research Partnership at the LBJ School. Bio: Sophie Morse is a doctoral student and Population Research Center Trainee. Her current research focuses on the implementation of health policies that address intimate partner violence in Latin American contexts. Prior to coming to the LBJ School, she conducted systematic reviews on HIV/AIDS, helped write health training curricula on violence against women with the World Health Organization, and did participatory research with perpetrators of intimate partner violence in Baltimore during her masters training. She also served as a health volunteer in the Peace Corps in Uganda, working to address violence against women and HIV and conducted research on the implementation of policies addressing sexual violence in Colombia under the auspice of a Fulbright Scholarship. Bio: Ilse Oehler-Grediaga was born and raised in Mexico City. Her research interests focus on the extent and the conditions in which Monitoring and Evaluation (M&E) improve policy effectiveness. Her current research uses Mexico as a case study to unpack the extent and ways in which different M&E governance arrangements at the federal level influence how results are used in informing the policy process. Before coming to LBJ, Ilse worked in the public sector for more than 10 years. In the Mexican government, she has held such positions as director of international media analysis at the Office of the President of Mexico and head of communications at ProMexico—a government agency responsible for the promotion of exports and attraction of foreign investment. She developed her working experience with International Organizations when she was selected into the OECD's Young Professional Program, 2007–09. At the OECD, she worked on public service delivery in rural areas at the Governance and Territorial Development Directorate. Ilse holds a B.A. in International Relations from ITAM (Mexico) and an M.Sc. in Public Policy from UCL (UK). Bio: Julian Plough’s research focuses on applied statistics, environmental economics and natural resources management. He has received degrees from the University of Chicago (B.A. Economics, B.A. Environmental Studies) and the University of Michigan (M.S.) Before coming to The University of Texas at Austin, he worked as a policy analyst at the University of California, Los Angeles’s Blum Center and held a position working for Americorps as a habitat restoration specialist. Julian enjoys work at the intersection of methodological rigor and applied environmental science, and currently works as a graduate research assistant on a Department of Energy-funded project evaluating housing market responses to shifting perceptions of flood risk. Bio: Cale's research is at the intersection of individual decision-making, program uptake and policy outcomes in residential solar PV subsidy policies. Using advanced analytical approaches such as agent-based modeling, he develops insights into the role of policy in the structure and evolution of technology diffusion. He has co-authored articles published in Environmental Research Letters, Renewable Energy and Energy and Buildings. He holds a BSPA and MPA in Policy Analysis from Indiana University. When not at his desk, Cale enjoys repairing and riding his 1969 Triumph Daytona. 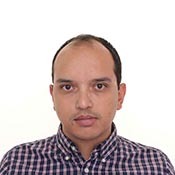 Bio: Alfonso Rojas Alvarez's research interests span urban and housing policy in Latin America, economic development, social policy evaluation and data science. At UT, he is also a concurrent student at the Department of Statistics and Data Science, and has worked as data researcher at the Child and Family Research Partnership, evaluating social programs in Texas. Before coming to Austin, Alfonso worked in evaluation of evidence-based policies across the United States. In Costa Rica, he was adviser to the Minister of the Presidency of Costa Rica, adviser to the Minister of Tourism, and instructor of international economics and public affairs. Since 2007, he has been a regular op-ed columnist at Costa Rica's premier newspaper, La Nación. He holds a Master of Public Policy from the Goldman School of Public Policy at UC Berkeley, and studied political science at the Universidad de Costa Rica. Bio: Jodi Rosenstein’s research focuses on U.S government learning processes in the conduct of stabilization operations. She came to UT Austin after a decade abroad working on conflict and post-conflict reconstruction and stability issues, and is currently serving as the senior stabilization adviser for the United States Agency for International Development (USAID) in Baghdad, Iraq. Previously, she spent five years embedded with the military in eastern Afghanistan as a stabilization and transition officer for the USAID. 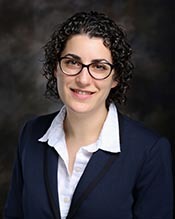 Jodi is a Doctoral Fellow at the Clements Center for National Security and a Senior Brumley Next Generation Fellow at the Robert S. Strauss Center for International Security and Law. She holds a B.S. in Foreign Service degree in International Politics from Georgetown University and an M.S. in international relations from the London School of Economics. 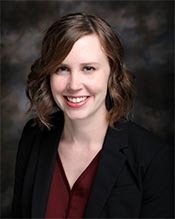 Bio: Rachael’s doctoral dissertation work focuses on an epidemiological study of intestinal parasites in Texas children and identifying policy priorities to address neglected parasitic infections within the United States. Her dissertation work utilizes mixed methods and is rooted in cross-disciplinary collaborations, aimed at identifying sustainable solutions to infections of poverty in the United States and worldwide. Rachael has previously conducted research on intestinal parasites and infection prevention in eastern Nicaragua. Bio: Santiago Tellez’ research interests focus on governance issues in the education sector — particularly the effects of decentralization of education on students' performance and inequality in Latin America. Before starting his Ph.D., he completed his Master of Public Policy at Brown University in Providence, Rhode Island. Santiago is from Colombia, where he is a lawyer from Universidad Nacional de Colombia. He is currently doing field work in Colombia. Bio: Ashlyn Webb is a doctoral student studying the connections between human rights promotion and security. Her dissertation work will focus on the implications of securing religious freedom on incidence of political violence. Ashlyn is a graduate fellow at the Clements Center for National Security. Ashlyn received her master’s in Public Affairs from the LBJ School in May 2015. Prior to beginning graduate school, Ashlyn worked in public relations, serving as director of communication for the Research Valley Partnership. 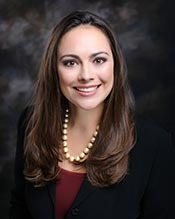 She also served two sessions as a legislative aide in the Texas House of Representatives and was a member of the Texas Governor's Fellowship Program. Bio: Jiameng Zheng is a doctoral student at the LBJ School of Public Affairs at The University of Texas at Austin. Her research interests center on the economics of environment. The questions she seeks to study address the valuation of environment and natural resources, the evaluation of existing environment policies, and the health consequences of substances in water. 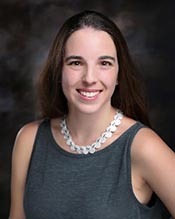 Her current research projects include: (1) using hedonic method to evaluate homeowners’ willingness to pay for improvement in water quality in Tampa Bay, Florida; (2) exploring the relationship between lithium in water and suicide rate in the United States; and (3) looking at the long-term consequences of early childhood exposure to lead from drinking water. 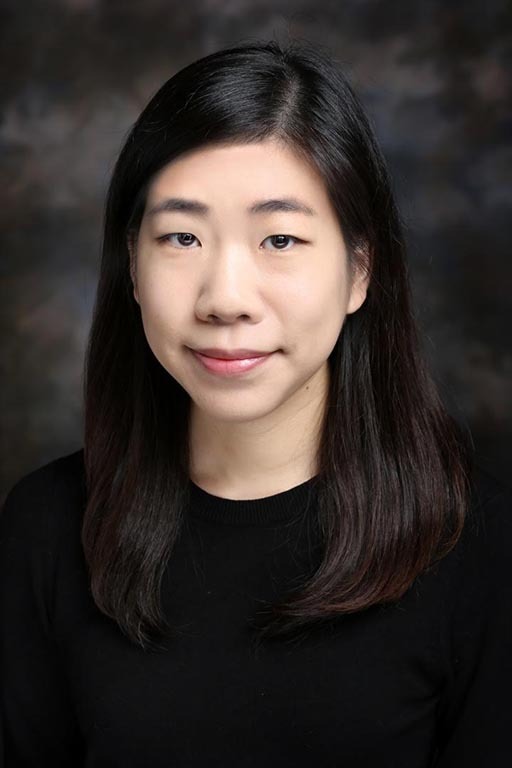 She holds a master's degree in public administration from the Maryland School of Public Policy, University of Maryland and a bachelor's degree in Economics from Wuhan University, China.